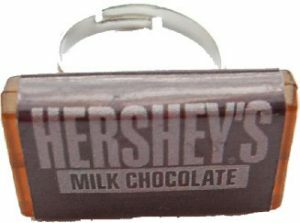 Imitation Hershey's delicious chocolate bar ring. Designed from acrylic and attached to a silver plated adjustable ring to fit any size finger. Hole design at the side.